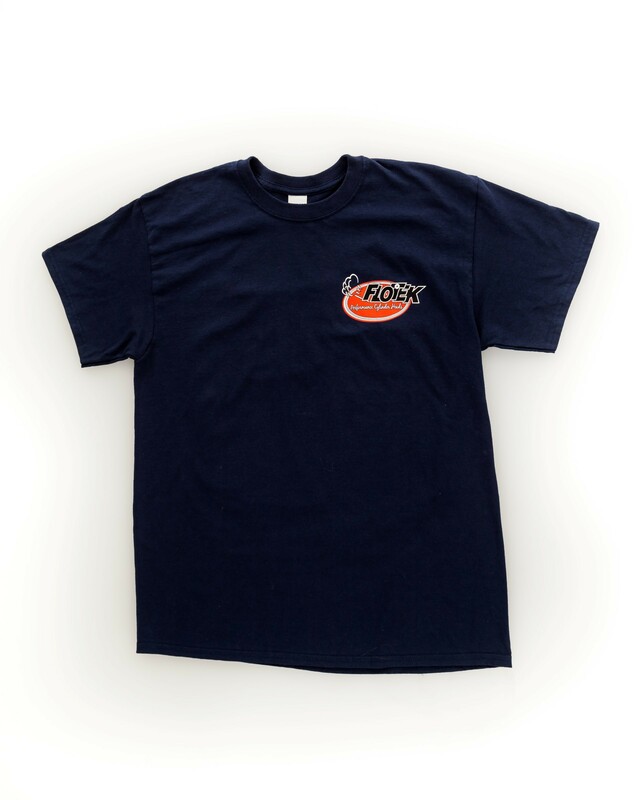 Black short sleeve t-shirt with logo on front left chest and large logo on back. Available in sizes Medium, Large, XL, XXL, and XXXL. 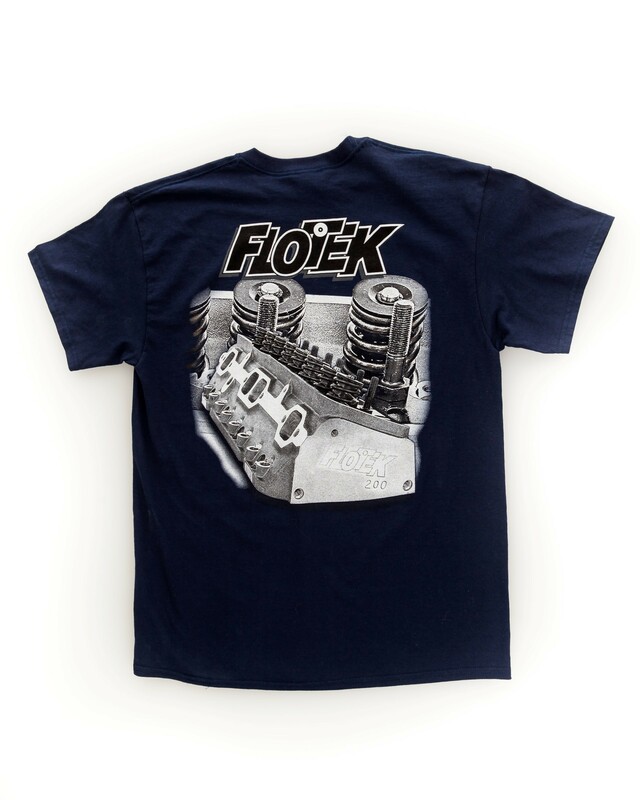 Find your favorite FloTek apparel here in our store!